With the election only days away, there has been little news in the market, other than the various policy statements of the political parties as they jostle for position. The industry in general has adopted a wait and see approach, preferring to watch for action rather than promises. Hopefully by next month we should at least have a steer as to the direction of our future climate policy! 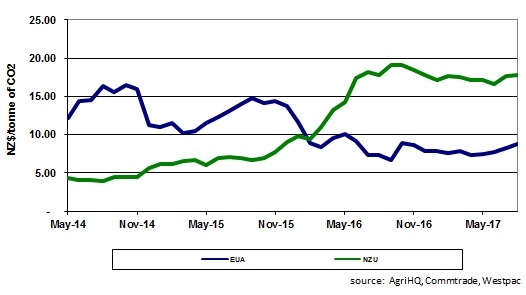 NZU price has continued to firm through August and into September, reaching a high of $18.35 at the start of this month. This price level has not been seen in the market since November 2016, and it seems well supported on both sides of the market. EUA prices have also continued their run, with current prices at a 21 month high.